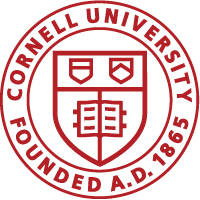 Welcome to MaePubs, a blog that provides updates on publications reported by faculty of the Sibley School of Mechanical and Aerospace Engineering at Cornell. Click at Blog above to see the publication feed, search at upper right for faculty names or keywords, or click on the tag cloud at right. This feed is largely automated and captures only a subset of Sibley School publications; see our department website for more complete information and faculty, staff, and student profiles.